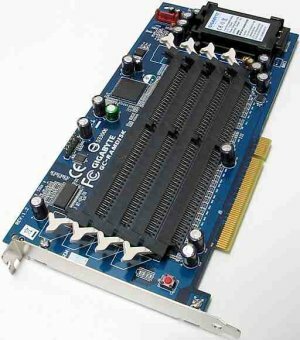 Gigabyte I-Ram: How fast can you boot? Everyone knows about those solid-state disks. And everyone knows that there are not-so-solid disks that utilise normal RAM for data storage. So here’s a Windows XP running and even more impressive booting on one of that gadgets… Oh man I want one of those! if this doesn’t show up…try to click here.